When Victor Santos contacted me earlier this year, to share the innovative language-learning flashcards that he and his wife developed for their young son—and now for children throughout the world—I was immediately impressed with the thought and creativity that have gone into them. 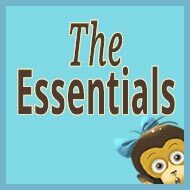 The fact is, these flashcards are unique, unlike any others you’ll currently find on the market, and could well be a valuable addition to the resources you use to promote your target language(s). I was also impressed with Victor’s multilingual and multicultural life. Not only has language long been at the heart of his personal life, it’s at the soul of his professional life, too. 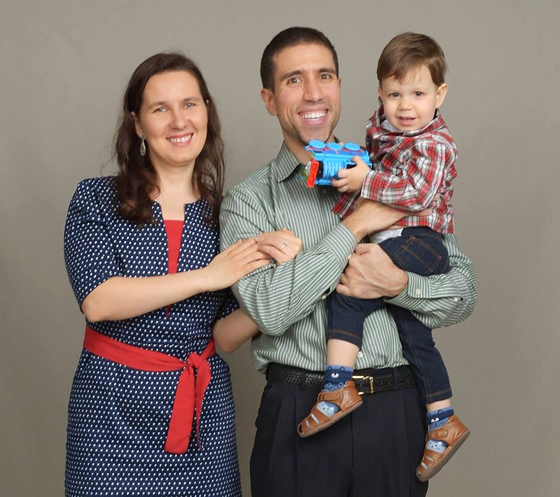 Originally from Brazil, Victor has lived in six countries and now resides in the U.S. state of Iowa with his wife, from Ukraine, and their two-year-old son and soon-to-debut daughter. His education, taking him from Brazil to Germany to The Netherlands to the U.S., where he earned his PhD in Language Learning and Assessment from Iowa State University, has continuously been focused on issues involving language. Meanwhile, in addition to teaching, he has worked in the field of language learning and assessment with five different companies. 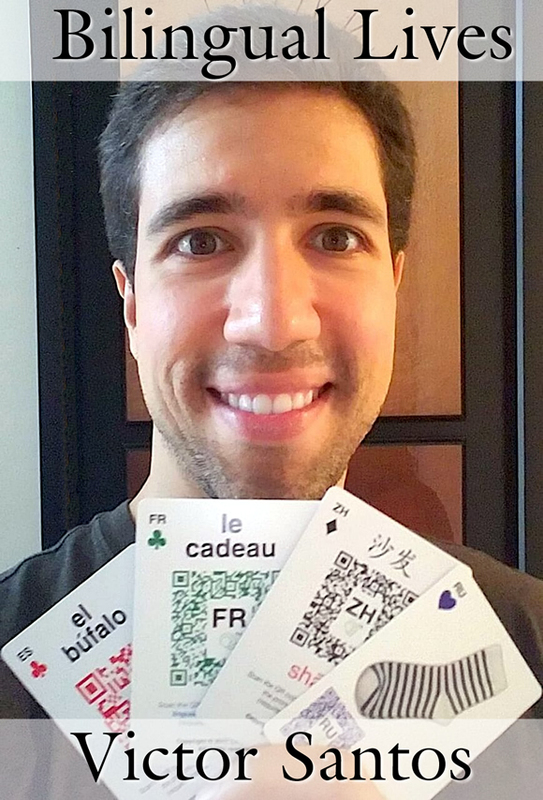 In 2017, all this experience and passion for languages gave rise to Linguacious, his own language learning company, and its first product, the Linguacious flashcards, which are now available in a variety of languages and topics. I interviewed Victor, by email, about his life and his work and how the Linguacious products can be of support to bilingual and multilingual families. He also kindly offered to contribute a deck of flashcards, in the language and topic of your choice, to two lucky winners of the giveaway below so be sure to enter your name by Friday, October 12. Now, over to Victor and a revealing look at a truly multilingual and multicultural life! I hear you have a multilingual and multicultural family. You could definitely say so! While I was doing my PhD at Iowa State, I met my wife, Olya, who is Ukrainian. Believe it or not, one of the main topics of our first date was grammatical gender (masculine, feminine, or neuter) in the German language! (That’s how geeky we are about languages.) Olya also has a B.A. in Linguistics and loves different cultures and languages, so we hit it off right away. Forward two years later, we gave birth to our son Dylan, who was born here in the USA (we live in Iowa). Before Dylan was born, Olya and I had already agreed that we would pass on our native cultures and languages to our son (and any future children) and that this was a very important component of the education and experience we wanted our kids to have. Therefore, from day 1 (literally, seconds after Dylan was born), he has only heard Russian from my wife and Brazilian Portuguese from me. 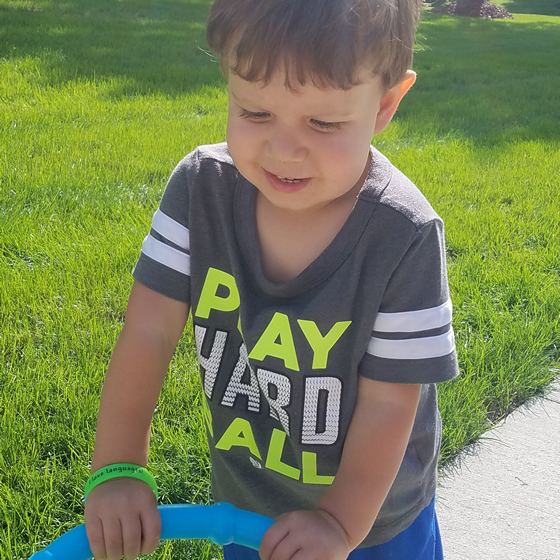 We are very consistent in our OPOL (One Parent One Language) methodology and Dylan responds beautifully to it; his ability to switch languages now in a heartbeat depending on whom he is talking to is simply amazing. He just turned two and can already put six-word sentences together in both Russian (including using the right grammatical case at times) and Portuguese. His English is catching up, but at the moment is a little behind his two other languages, which is perfectly normal. Olya and I speak 90% of the time in English to each other (but never to Dylan) and about 10% of the time in Russian. Whenever we are in the presence of others who speak Russian or Portuguese as a native language, we always kindly ask them to talk to Dylan in either of these two languages instead of in English (even if these people may be fluent speakers of English). This way, we are always engaging others in our multilingual and multicultural adventures. So far, everybody has been quite willing to help out. We also have our parents visit as often as possible (they still live in Ukraine and Brazil), which is basically bringing Ukraine and Brazil into our home on a regular basis! We have many books and games in all three languages at home, so we live multilingualism and multiculturalism every day. Multilingualism and multiculturalism has always been an interest of mine and I’m glad I experience this on a daily basis now. I have lived in six different countries (Brazil, India, Germany, Holland, USA, and Israel), so I have deep respect for multilingualism and multiculturalism and for the amazing value it has to transform lives and mindsets. As I mentioned above, all my academic education (from B.A. to PhD) has been in the area of Linguistics and Language Learning. In terms of my professional life, I was an ESL/EFL teacher in Brazil for over 8 years and also taught ESL and academic English to graduate students at Iowa State University during my PhD years. I have so far worked for five different companies (and founded my own!) in the field of language learning and assessment: Mango Languages (in Michigan), Lingua.ly (in Israel), Second Language Testing Inc (Maryland), CaMLA (Michigan), and Avant Assessment. At Avant, I am currently their Data and Assessment Manager and I work with a large number of districts and schools in the USA and abroad that offer foreign language programs to their students and would like to see how much progress their students are making in terms of their language proficiency. Finally, in 2017, I decided to start Linguacious, my own language learning company, which focuses on helping children learn basic vocabulary in a large number of languages through our innovative flashcard games. We have even won five awards so far! Not too bad for a one-year-old company, right? Can you tell us a little more about what led you to found Linguacious and about the company? Absolutely. Quite a few things led us to found Linguacious, actually. First and foremost, it was out of a real need. When Dylan was 14 months old, I was looking for physical flashcards in either Russian or Portuguese that I could use with him daily so that he could learn some extra vocabulary. We did not (and still don’t) want him exposed to videos and digital technology much, so that’s why I decided to look for flashcards. Believe it or not, I couldn’t find a single set of language flashcards on the market that looked appealing, used real images, enabled kids to have fun and play different games to learn the words, and most important of all, that would allow kids to practice each one of the four language skills separately: reading, writing, listening, and speaking. I even wrote a blog post called Are We Raising Half-Baked Multilinguals? 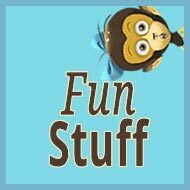 about what I believe are some of the shortcomings of a large number of vocabulary flashcards that are marketed to children. Because I simply could not find any flashcards I could use with Dylan at that time, I decided to develop my own. In fact, I wanted to develop something that could be used with a child around Dylan’s age, but that was also appropriate for older kids as well. For the next six months, Olya and I played with different designs for the cards (sooo many iterations!) to make sure kids could practice all four language skills independently, developed a lot of different games kids can play with the cards (each targeting a different level of linguistic and cognitive development) and decided to employ QR codes in every single card that include the audio pronunciation of the word by a native speaker of the language. We play-tested the cards with as many kids of different ages as could find to fine-tune the design and games and then decided to publish the very first Linguacious deck for Dylan: Russian (Animals). 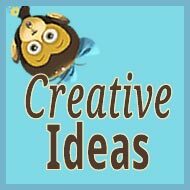 After we released Russian Animals and started selling it on Amazon, we started getting requests from other parents, educators, and family friends raising or educating bilingual children to develop the cards in other languages and topics as well. From then on, Olya and I knew that this is what we wanted to do: help kids everywhere have fun while learning any languages they were interested in. Without fun, as many parents know, it’s hard to get kids excited about learning languages. The feedback on Linguacious has been amazing so far. Just a couple of months ago, we got an email from Stephanie, a French-native mother who purchased our French cards and who for the first time after five years finally got her daughter excited about learning French. Her daughter particularly loved scanning the QR codes to hear the French words, even though her mom herself was a native speaker! It’s stories like these that warm our hearts and keep us going. Our dream is to publish our flashcard decks in as many languages as possible, to make sure all kids can benefit from having fun while learning languages, regardless of what language that may be. Right now, we have them available in Spanish, English, French, German, Italian, Portuguese, Mandarin Chinese, Hebrew, Greek, Polish, Russian, Turkish, and Ukrainian (many more to come). People can also request new languages at the Linguacious website. 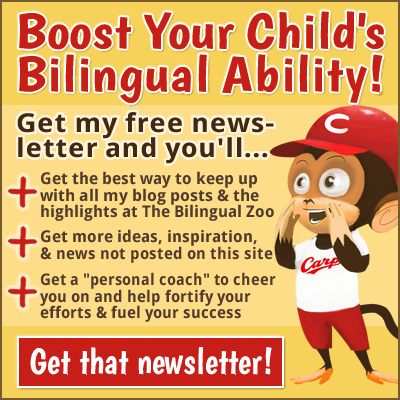 How can your work with Linguacious benefit bilingual and multilingual families? 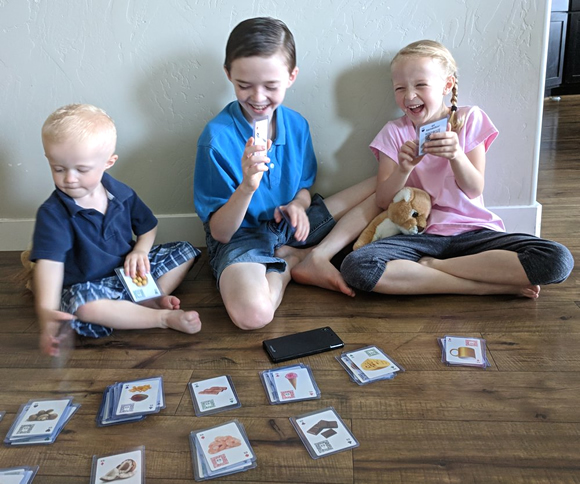 The feedback we get the most often from parents who are using the Linguacious flashcards is that their kids are finally excited about learning the language, since they are having fun now. Many kids as young as 3 years old love scanning each card with the Linguacious app to hear the words pronounced. The app is very simple to use, has no ads, and works quite fast, which is important given kids’ short attention span, as we all know. Parents also love that they can just put the card deck in their bags and take it out for some 5 minutes of language fun while waiting for their order at Burger King (real story!) or their kids’ doctor’s appointment. One of the main benefits of our card games to bilingual and multilingual families is that they allow for both family fun and for independent use by kids. 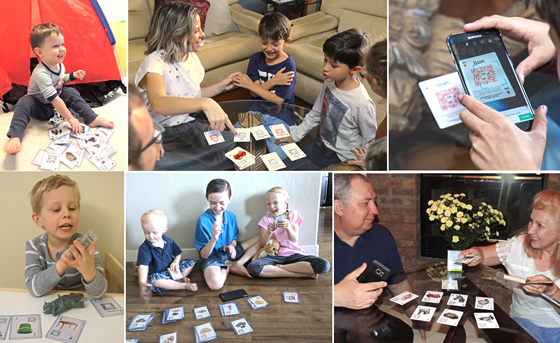 Instead of having kids follow an online language program and be glued to their iPads or computers for hours or use flashcards that are static and all they do is look at them, our card games are a fun social experience above all. It brings families together to learn languages and makes it fun. It is also especially useful for parents who are not themselves speakers of the languages they want their kids to learn. Being able to scan each card and hear the pronunciation of each word by a native speaker opens many possibilities that were not available before for these parents through traditional language flashcards. It also ensures that children are learning proper pronunciation of each word, instead of reading out some Anglicized spelling (the technical term for this is transliteration) of a word, say, in Arabic or French. There are many sounds in other languages that cannot be accurately represented through the letters in the English alphabet. This is why the Linguacious flashcards offer actual audio pronunciation and do not include transliteration of the words. I plan to continue to work in the Language Learning and Assessment Industry for a long time! This is where my experience and my passion lie. Regarding my personal life, the future holds baby #2 and many more multilingual and multicultural experiences that will come with that. It will be interesting to see how much success we will have with raising Dylan’s sister trilingual as well. The second baby changes the equation a lot, especially since we don’t yet know what language Dylan will want to use with his sister! We’ll keep you all posted about how it goes, but we certainly intend to keep up our OPOL methodology with both our kids. As for Linguacious, it is mostly a side hobby at the moment, and a way to contribute to a more multicultural and multilingual world. 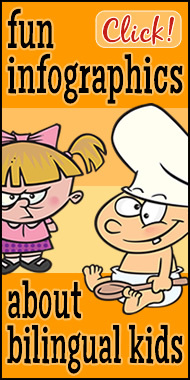 We plan to continue to develop our flashcard games for a long time, in as many languages and topics as we possibly can. The more we continue to hear from educators and parents about how beneficial our products have been to them, the more we will be encouraged to release new offerings. For now, let’s say that a Linguacious language board game and multilingual books may be among some of the possibilities. 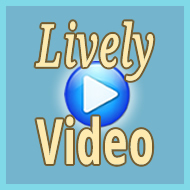 Anyone can stay up to date with our adventures by following us on Facebook or Twitter, and by visiting our homepage. My first advice is “believe in yourself and in your children.” Kids are such amazing sponges and so much smarter and able than some think. Many people, especially here in the USA, believe it is close to impossible (and sometimes, useless, sadly) to raise kids speaking more than one language. DO NOT listen to these people. The majority of the world’s children speak more than one language and growing up speaking two or more languages is in fact a “miracle” that happens all the time, everywhere. Therefore, my first advice to parents who want to raise bilingual or multilingual children is to simply not listen to those who want to discourage them from this laudable mission and endeavor. There are a large number of cognitive, economic, and social benefits associated with speaking more than one language, so investing in your children’s bilingualism or multilingualism is in fact one of the best ways to invest in their future. My second piece of advice is to try to find ways to make your kids care about and enjoy learning other languages. If the kids do not feel emotionally connected and just see the learning of that language as a burden, the chances of success will be quite low. You can make them more connected by playing games with them in the languages, trying to do fun things using the language, and trying to find playmates for them who speak that language. As the saying goes, “If you really want to do something, you will find a way; if you don’t, you will find an excuse.” Try to connect with other families in a similar situation and leverage each other’s knowledge and support. 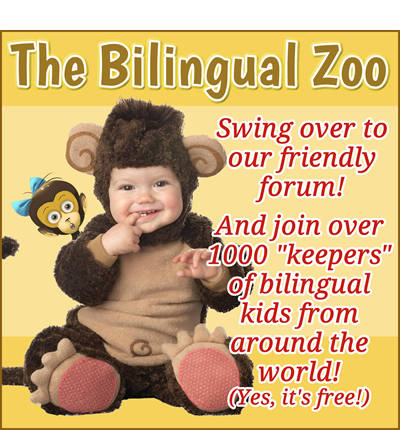 There are many Facebook groups devoted to helping parents raise multilingual children, for example. 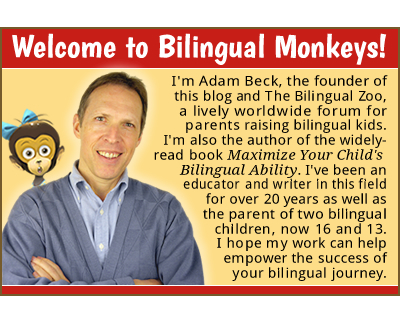 And Adam, I know you run a really helpful forum for parents called The Bilingual Zoo. Lastly, be consistent in your goal and try to learn ways to optimize your chances of success. 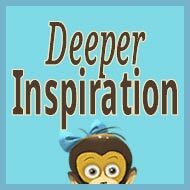 For those parents who are still at the beginning of their bilingual or multilingual journey, I definitely recommend checking out the following two books: Growing Up with Three Languages (by Xiao-Lei Wang, a Chinese mother and linguist who raised her kids in English, French, and Mandarin Chinese ) and Maximize Your Child’s Bilingual Ability (yes, by you, Adam!). These two books are awesome introductions to the topic and have many golden nuggets of practical advice. Apart from that, my advice is “Just do it!” and have fun! Your kids will give you a big hug and kiss in the future and thank you for not having given up on making them the awesome bilinguals/trilinguals/multilinguals they became and which became an integral part of who they are and how they see themselves. Giveaway! Win some cool flashcards! 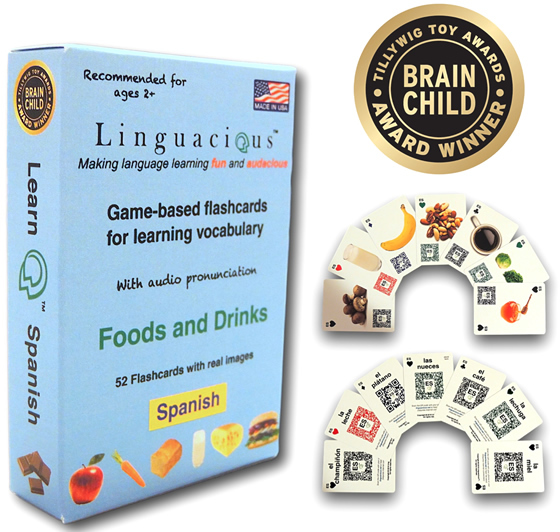 Victor has kindly offered to send a deck of Linguacious flashcards to two lucky winners of this giveaway. 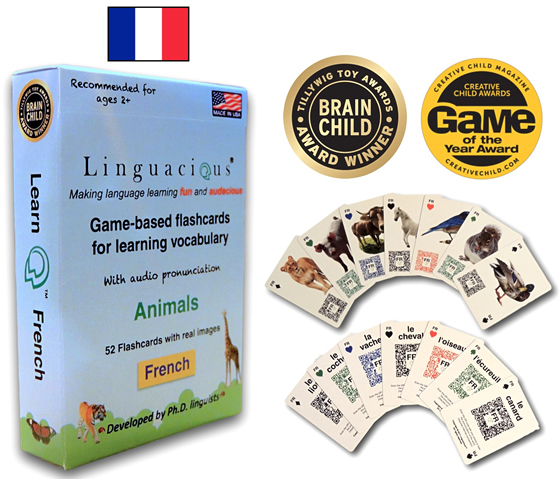 The winners can choose from among any of the current flashcard decks produced by Linguacious. The 2 winners were picked randomly by my kids at breakfast. Congratulations to Alba and Joanne! And many thanks to everyone who entered the giveaway! 3. All entries must be submitted by the morning of Friday, October 12 (Japan time). On that day, the comments will be printed out and cut apart to serve as entry slips for the drawing. The slips will be placed in a big blue bucket (say that 10 times fast!) and I’ll have my kids each randomly select a winner. I’ll then contact the two lucky winners by email and update this post with the results. I won’t respond to your comments here, but Victor and I look forward to seeing them. Thank you for entering the giveaway, and for sharing this information about Victor’s dynamic work with others. 4. The product resonates with me a lot, especially the aspect related to kids having fun as a requisite for their engagement in the language learning process. The design looks very appealing as well. 4. I love the idea that the flashcards can not only be used for reading, writing, speaking (and listening!) but also in various games. This is guaranteed to hold my daughter’s interest, especially the scan-and-listen part, which standard flashcards would not. Looking forward to seeing still more topics! 4. I am an elementary teacher and it’s true that young kids love to scan QR codes. I love the addition of technology to help with pronunciation and engagement! 4. Pictures look wonderful and very interactive. It’s great that children can learn words, repeat them, read and finally write them, amazing! You can even play with them, so it won’t sound like school but a wonderful game to kids. Congratulations!!! 4. Vocab using realia! – real life pictures. 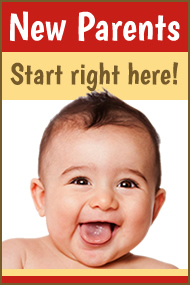 Activities that provide opportunity to use all four modes of communication – speaking, listening, reading, writing. An engaging way to practice language in context. 4. It’s a wonderful idea to use “old school” flash cards with technology. I love that the research says we retain more by using printed materials and I appreciate having something like this while still using an interactive tool. I would absolutely introduce an additional language through these flash cards! 4. I love the idea of using games to encourage children to learn, and especially in language learning. It would be fun to practice and learn German together with my boys! The designs look really interesting and I would love to try them out. 4. I totally love the idea of the flashcards! 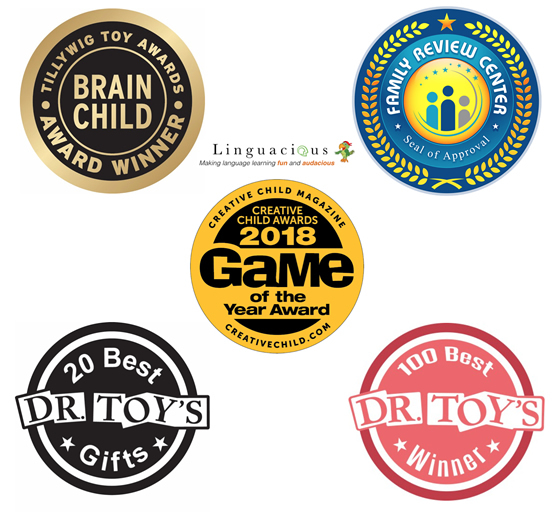 Not only it’s fun way to approach learning through games, but it’s also suitable for any age really and the best part is that it covers all 4 aspects of language development. 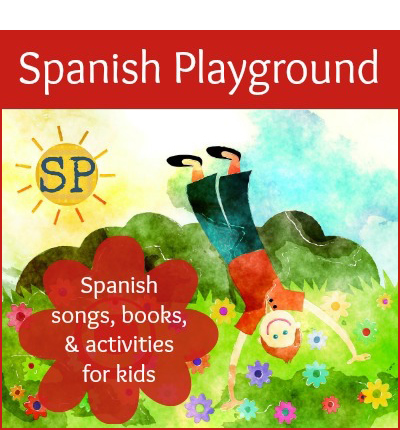 We will definitely try it out and recommend it to all of our friends raising bilingual children! I find a lot of books and board games in Italian through Amazon, but there’s a paucity of flash card games and the few I found are old fashioned and not well crafted, and either too easy or too hard for the 7-10 year old range. These look amazing. I will look up the the French and German too as my daughter is studying those in school. 4. The less time using electronic devices for language learning the better. I like the idea that this type of learning through flash cards can be an activity we can do together rather than just her looking at her iPad, it is much more enriching and interactive. The scanning part will also be a nice perk since my daughter loves to scan things when she plays with her kitchen toys! 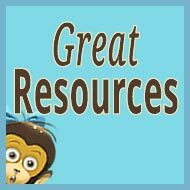 4) I think the flashcards are great as you can use them in so many different ways with children and adults of all ages! I like the fact that the flashcards can be used both in group or individual play/learning, promote four language skills and you can decide whether you want to use technology with them as extension (e.g. scanning the code to hear the pronunciation). 4- These flashcards are fantastic! My husband is from El Salvador and we are trying to teach our children to be bilingual. I think making them in more of a play-type format is great because it will hold the kids’ attention longer, and the integration with the QR codes is really an added bonus. Thank you! 3. Spanish, Hindi (minority languages) and English (majority language)! 4. Simple, practical and clever idea as the flashcards are so visual. Also the fact that they can be scanned helps retain the term in the same way looking for a word in a paper dictionary helps retain it too, as there’s an activity involved! 4. I love the real photos and the fact the it will help me learn the vocabulary too. And I’m sure my kids will love the QR codes. They’ve recently discovered QR codes and are asking me to scan them on everything! I love the idea since it gives my wife a chance to work with the ml with our son through the transliteration. Living in the US, having not only me talk the ml sounds like a great way to show our son that more people than Papa talk the ml. It thus helps soften the OPOL approach we have to use since my wife only speaks the ML. With the social gaming aspect, we can play and learn together – and even include the ML nanny or the grandparents.